Samsung has announced that it has now sold 5 million of its Galaxy note smartphone around the world since the device was launched last October, and it took Samsung just 5 months to reach the milestone. The Galaxy Note seems to be becoming a popular device, and with its large 5.3 inch display it is more of a cross between a smartphone and a tablet. The Samsung Galaxy Note features a 5.3 inch Super AMOLED Plus display with a resolution of 1280 x 800 pixel, Processing is provided by a dual core 1.4GHz processor, there is also 1GB of RAM, an 8 megapixel camera which can record HD video in 1080p and a front facing 2 megapixel camera. 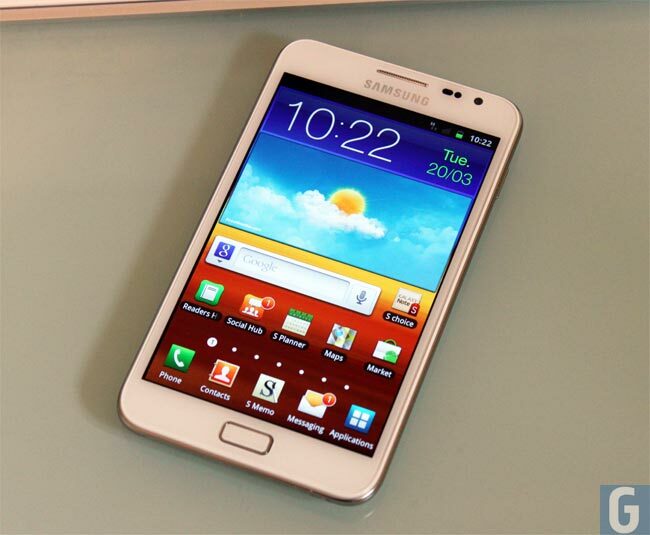 The Galaxy Note comes with Android 2.3 Gingerbread although Samsung will be released Android 4.0 Ice Cream Sandwich for the Galaxy Note next month.